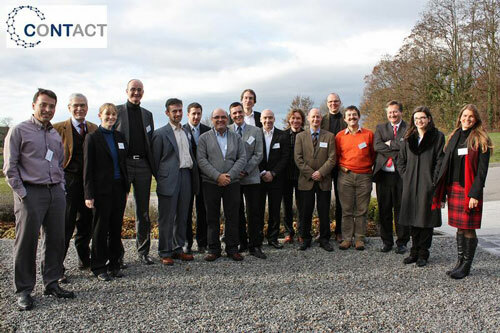 (Nanowerk News) CONTACT is a 4-year project involving 10 partners from 7 countries. Coordinated by the Fraunhofer ICT and funded by the EU, 15 PhD students and 3 post docs will focus their research on nanomaterials, processes, characterisation methods and simulation tools. The goal of CONTACT is to establish a tailored supply chain of new CNT-filled composites with enhanced mechanical and electrical properties for applications including electrodes, structural materials and windblades. The recruited researchers will complete individual project work hosted by the partners in the network, and will receive additional training in scientific and "soft" skills. The demands placed on new, high-tech materials are continually increasing, and existing material systems are reaching their limits. Due to their exceptional electrical and mechanical properties, carbon nanotubes offer high potential for use in diverse applications. Examples for applications which place increasingly high demands on materials include rotor blades for wind power plants. The performance of these plants has increased during the last decade from a few 100 kW to several MW, and further significant increases are planned for future plants. The same applies to energy storage materials: their performance must be significantly increased, particularly for e-mobility applications. And in the construction industry, higher-strength materials are needed, for example for longer bridges. Carbon nanotubes (CNTs) are a relatively new material solution. Coordinated by the Fraunhofer Institute for Chemical Technology, and funded by the European Commission's "Marie Curie" programme, 15 PhD students and 3 post docs will carry out research and development on materials and processes, characterisation methods, simulation tools and of course the implementation of the materials in the applications described above. Within the Marie Curie Network, "CONTACT", industrial partners will work closely together with research institutions. The young researchers, who will be mainly be recruited over the next year, will have the opportunity of working both at well-known research institutions and commercial companies - in seven different European countries. They will also be trained in so-called "complementary skills" which will prepare them for future careers in research and management. The network offers the chance for outstanding graduates and post docs with the appropriate qualifications to participate in an international project with partners from Portugal, Spain, Finland, England, Hungary, the Netherlands and Germany. CNTs have the potential for application in a wide variety of future materials. The young researchers in the Marie Curie Network CONTACT will make a significant contribution in this field and will receive high-quality training, helping them to become the next generation of experts.